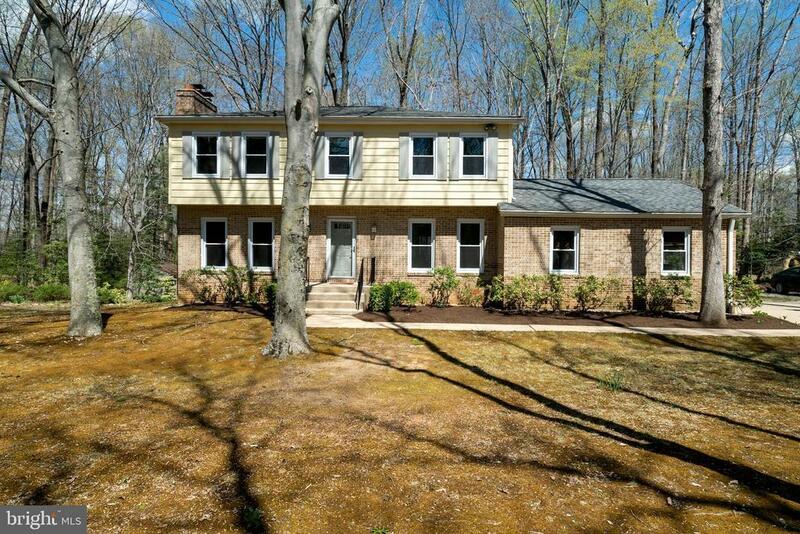 You will LOVE your Colonial in the Forest!! Wonderfully updated, yet traditional Colonial. Updated kitchen with beautiful solid wood cabinetry, silestone counter tops, pantry and kitchen table space. Slider off kitchen opens up to HUGE screened in porch that looks out onto your blissfully private open space and woods. Youll want to spend all of your time here! Ample formal dining room for all of your indoor gatherings. Cozy living room with wood burning fireplace. Additional breakfast room/homework/reading room that looks out over the back yard. Harwood floors throughout main level. Hardwoods continue upstairs, which boasts FOUR large bedrooms, including a Master suite with built-in bookcases and window seat and beautifully remodeled bath with gorgeous custom shower. The other three bedrooms are plenty big and the hall bath has also been remodeled with granite countertops. The basement has a great family room with plenty of room for all to watch the game on tv or play a game of Foosball with your friends. The slider gives you direct access to your backyard and plenty of natural light to the space. There is also a terrific storage room and laundry room, so everything has a place to go. Located at the end of the road in cul de sac. Park in your oversized two-car garage w/tons of additional off and on street parking. The property backs to wonderful trees that back to nature conservation for wonderful hiking and exploring. Roof 12 * HVAC 15* Windows 07 * Water Treatment System Updated 18. Sellers have been meticulous about keeping up with all services and maintenance required throughout the home.~2700 finished square feet. And much much more. Wonderful community that spononsors annual events such as picnics and easter egg hunts. You cant beat this price and location! Wont last! Come check it out!